The Snodgrass family defines perseverance. Marshall, his wife Kristin and son Lucas dreamed of opening a winery, so in 2005 they planted an experimental vineyard. 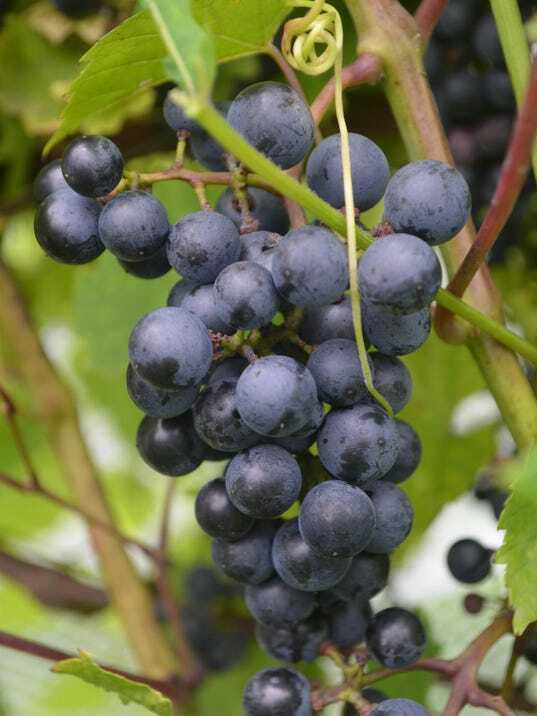 It was already a lofty idea: grow grapes that are not usually grown in Missouri and make dry European-style wine, instead of sweeter varieties found in the Show-Me state. And in an industry which uses a lot of pesticides and herbicides, they wanted to be organic. They practiced making wine from kits while Lucas studied soils at Missouri State University. The hard freeze of 2007 killed the grapes. The family planted 700 more vines. Keeping with that organic vision, the following year, they bought a flock of sheep to fertilize the fields and eat the weeds that grow up around the vines. The growing fruit dangled within their reach, but the sheep left it untouched. Then one day, when the grapes ripened, the sheep polished the fruit off. In 2009, they raised the wire so the sheep couldn’t reach the fruit. But then there was an invasion of Japanese beetles. The family would labor away in the fields hand picking the beetles off the vines. In 2011, they planted a second vineyard and 860 more vines. It became clear they’d either have to abandon their dream of growing unique varietals and switch over to Norton grapes, or use some pesticides to keep bugs at bay. They decided to spray only as needed. Another frost in 2012 wiped out most of their crop but they managed to make 9 gallons of wine. 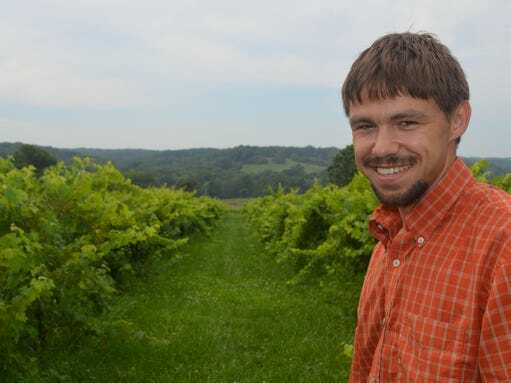 That was also the same year Lucas earned his Master’s degree in plant science with an emphasis on wine from MSU’s Mountain Grove campus. They’ve battled drought and root fungus, but on Memorial Day this year —10 years after planting the initial vines — they finally opened Lambs and Vines Winery. “There’s been a lot of trial and error and a lot of challenges,” said Lucas, as he lifted a white veil in the vineyard that hung over the grapes to keep the birds from eating the ripening fruit (their latest problem to solve). But they are proud of the wines they’ve crafted. The family hasn’t just poured their heart into their wines, the bar, backdrop, shelves and table in the tasting room was hand-built by father and son with timber harvested from their land. The tasting room is perched on top of a slight hill and overlooks the second vineyard that the family planted with the rolling Ozark hills as the backdrop. They produce seven dry wines only available at the winery, and plan to release an eighth (a dry red) later this year. They carry a small selection of local cheeses, sausages and bread because the wine is designed to pair with food, which is something they want to expand upon. Kristin came up with the winery name “Lambs and Vines” and designed the label which features “Darlene” one of the sheep. 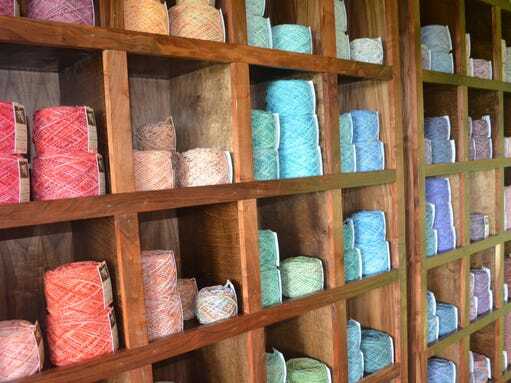 On one wall of the tasting room, is an array of colorful yarn, spun and dyed by Kristin and daughter Natasha, who helps with the sheep side of the business. “I started spinning because what else do you do when you have a flock of sheep? Then I started knitting and now I love it and sell on Etsy,” Kristin said. Kristin and Natasha raise 70 Olde English Babydoll Southdown Sheep, a heritage breed. The lambs all have names and Kristin will sell them to orchards to help with weed control or to become pets, but they don’t eat the animals. 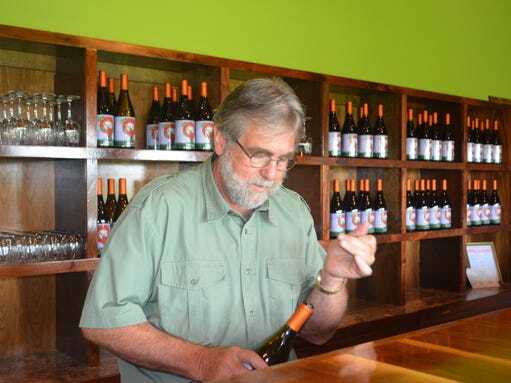 The winery is only open on Friday and Saturday because Marshall Snodgrass has a full-time dental practice in Marshfield. For 26 years, he owned Distinctive Dental Solutions in Springfield before moving his practice. The winery is small and the family wants it to stay that way, said Kristin. They have no other employees and they want to be able to operate the winery amongst themselves. Unlike other wineries that host bands, the Snodgrass family doesn’t plan to do so. “We are not a party winery and we don’t want to be. The atmosphere here is peaceful, relaxing. Come enjoy the country for an afternoon,” Kristin said. It makes for a great date night, added Marshall. 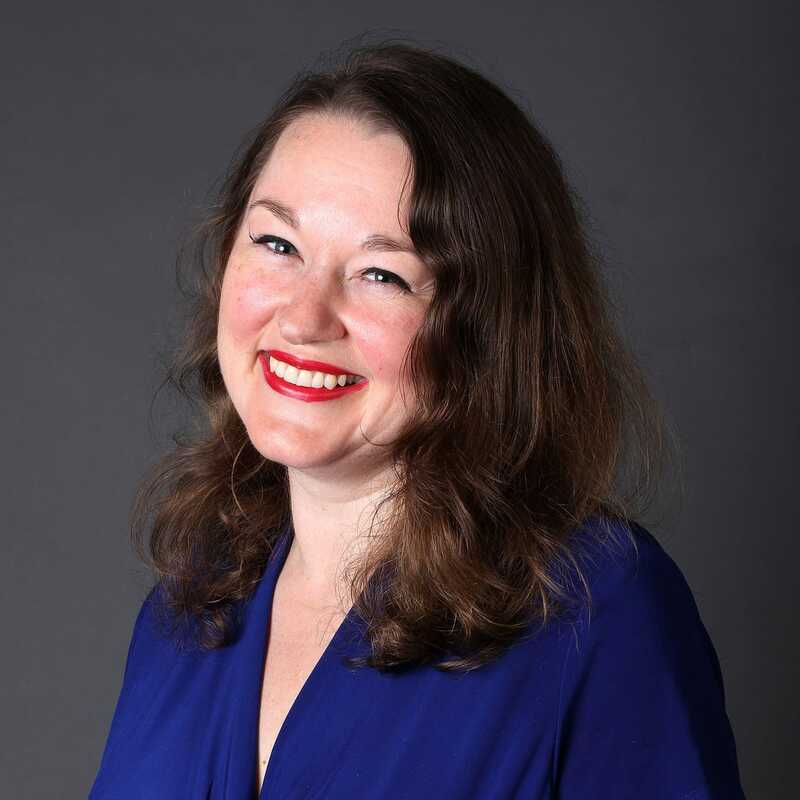 The highlight for the family this summer has been having one of their wines, the Viognier, featured at MSU’s Rare Wine, Rare Books dinner and wine pairing, an annual fundraiser that supports the Rare Books Endowment. David Richards, department head for Special Collections and Archives, said some members were not initially enthusiastic about the idea of featuring a Missouri wine, which they expected to be sweet, but the wine was a hit. Richards said he’s impressed the family is able to grow grapes and produce these wines in this region. Most people are surprised when they taste the wine because it’s so different from other Missouri wine, said Marshall. Since opening, the biggest challenge has been getting customers to come because the weather has either been excessively rainy or hot. But they are hopeful for a busy fall. They are toying with different ideas of what they want to do in the future, but will listen to customer input. 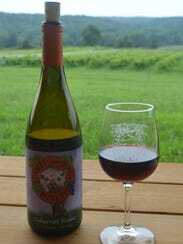 Lambs and Vines Winery, 228 Country View Road, Seymour, is located 30 miles east of Springfield. It is only open from 4:30 p.m. to sunset on Friday and 1 p.m. to sunset on Saturday. After this year’s harvest, they will open on Thursday evening, too. Check their Facebook page for updates. Three tastes is $3; it’s $5 for all seven wines. Each tasting includes a glass. If you buy a bottle of wine, you get half the price of the tasting back. Right now, they carry three dry reds and four whites, but will add another dry red in September.